and reducing labor time and intensity. 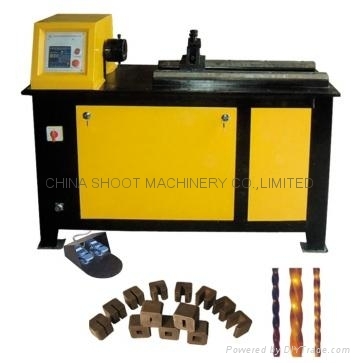 the machine can play the most effective role in its function. 3. It is easy to change the dies, only need several seconds. round steel or 12*12mm square steel together. 1. 6 sets for square steel: 25×25、20×20、18×18、16×16、14×14、12×12. 2. 3 sets for flat iron: 30×8、20×6、16×5.